I love items that I can make use of year after year and don’t get old, there’s something nice about storing clothes away until the Summer months come around again, then digging through your stash to rediscover old favourites. 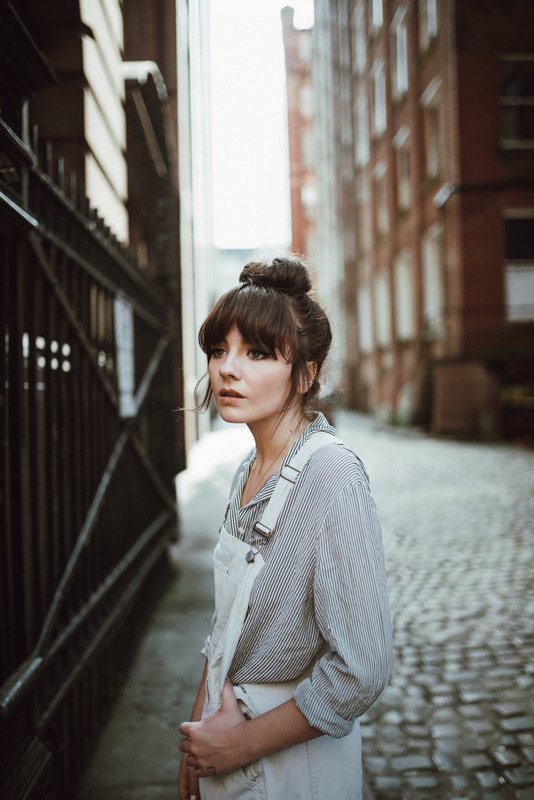 This is something I do every year after having a much needed clear out – I keep all the items that I know I’ll wear religiously, the ones that have served me well throughout the years and will continue to do so. I’m not someone who tends to shop in bulk, I’m a big fan of creating wish lists and then investing in a few pieces I’ve been lusting after for weeks. This is normally the drill for everything you see on here – I very rarely impulse buy. I like to do my research and see what else is available before adding to my wardrobe. I still haven’t found myself bored of these dungarees, they aren’t the most ‘flattering’ and make me feel like a nine year old boy, but I wear them every Summer regardless. I love skirts and dresses, but I’m also a fan of being able to run around and not worry if a gust of wind leaves me with an unfortunate outfit mishap. 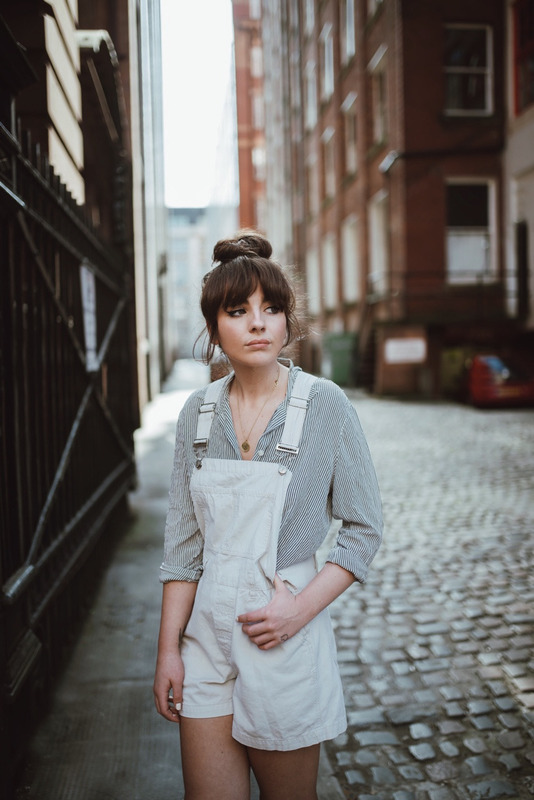 Especially living in a city – a lightweight pair of dungarees are your secret weapon. I prefer wearing them with a blouse or stripe shirt as shown above, but a simple black T-shirt and a pair of Converse is always a winner too. 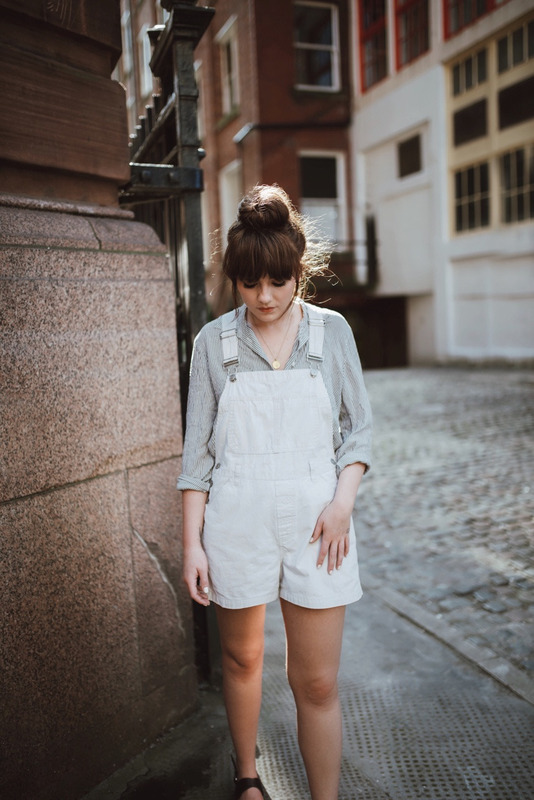 Don’t be put off my dungarees if you haven’t tried them before either – there’s so many different styles in an array of different colours and materials to suit every body shape. They don’t even have to be denim if that’s not your thing. 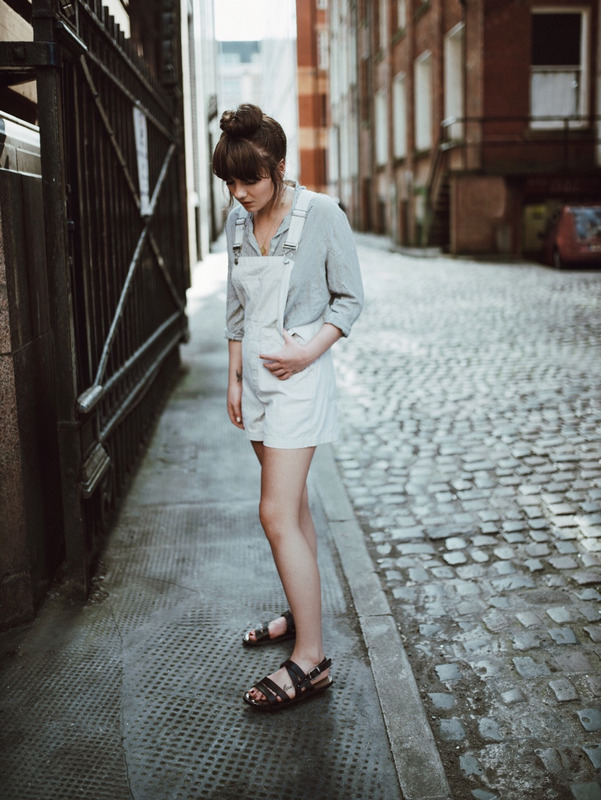 I’ve seen a couple of full length linen styles recently that look really chic with nothing underneath and a pair of ankle strap heels – ultimate cool girl Summer look for the evening time! Full vintage outfit, shop the look below! Great summer look Alice! Personally love wearing them with a breton shirt or white blouse. 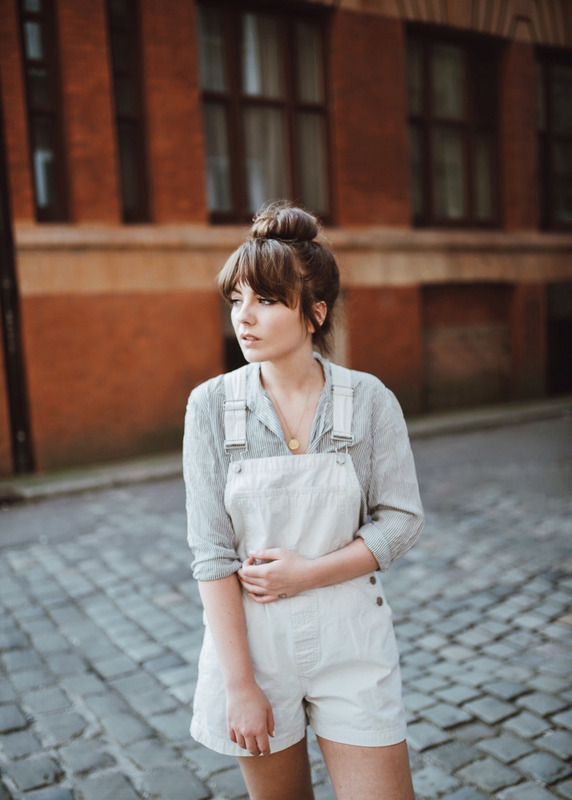 Dungarees are so comfy and timeless.